pawTree is a direct sales company with a focus on customized nutrition for pets. The company was founded in 2014 in Dallas-Fort Worth, Texas by Roger Morgan, an industry veteran in the pet products space. pawTree does not use a third party for its products and instead owns everything it sells. pawTree’s product line includes pet food, treats and supplements free of poultry byproducts, grains and artificial ingredients. pawTree recently debuted its own line of flavors called pawPairings Superfood Seasonings, which help boost nutrition for dogs and cats. They also sell bowls, toys, collars, beds and blankets, and other pet-related items. All items are also made in the U.S.A. In addition to their popular pet nutrition products, the company also offers a lucrative home business opportunity. As a petPro, you will have the chance to earn an income when sharing healthy nutrition with other pet parents. Prior knowledge of pet nutrition is not necessary because they provide all training and have a team of veterinarians to help answer the question “What should I feed my pet?” This is still very much a ground floor opportunity with just over 1,000 petPros nationwide. And because pawTree's product line isn't centered around makeup or jewelry, it's a great direct sales company for men. Compensation: Consultant commission is 10% to 20% on personal sales. Commissions are paid out twice per month and you earn on personal sales and purchases as well. petPros also earn $10 to $100 for recruiting new loyal customers as a “Paw Club” member, which is a monthly autoship order. Depending on the type of order the Paw Club member signs up for dictates how much the one-time bonus is. Working on a team is also a great option to earn money. Team member sales can earn anywhere from 1% – 7%. As your team grows, you earn 1% – 4% on the sales of all teams that develop below you. There are nine different affiliate ranks, depending on the amount of sales volumes generated per month by yourself and by your team. As you sell more, you have a potential to earn more. Start-Up Costs: The This Changes Everything Starter Kit includes training, sampling tools, marketing materials, seven Superfood Seasoning samples, and six months of a free custom website to help each petPro launch and build their business. The pack sells for $125 (retail value $235). The Basic Kit includes supplies training, sampling tools (without the product required to fill the samplers), marketing materials, and six months of a free custom website. It sells for $99 with a retail value of $129. Personal Website: Six months of website service is included with the starter kit. Quotas to Maintain Active Status: No quota to earn commissions from your personal sales and sponsoring. $150 in Personal Volume per pay period to earn download commissions. 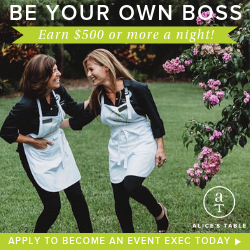 Bonus Opportunities: A Fast Start Program that allows you to earn double commission and leadership bonuses are available. If someone you sponsor buys the “Ultimate Sales Kit”, you earn a $75 commission on it. A special pawUP bonus program is also in effect from May 1 to October 31, 2018. Its pawUP Bonus allows a petPro the ability to earn up to $25,000 in bonuses for sales and team growth!